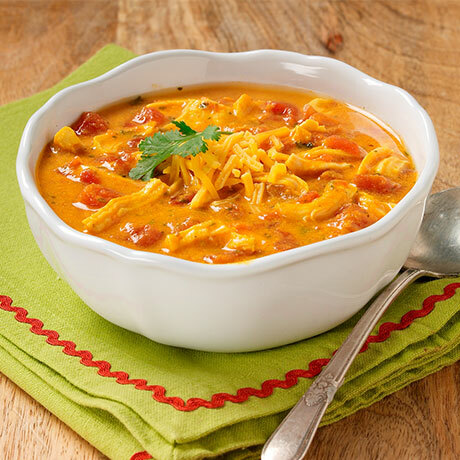 Put down your fork, it's authentic chicken enchilada flavor in a bowl. Easy preparation with common ingredients. 2 packets, 8 servings per packet. (processing aid), silicon dioxide (anti-caking agent), rendered chicken fat with natural flavoring, and spice extractive (for color), Masa (corn treated with lime water), Powdered Cheese (Whey, reduced lactose whey, butter (cream, salt), buttermilk, salt, cheese [cheddar and blue cheeses (cultured milk, salt, and enzymes)], disodium phosphate, natural flavor, color (paprika, turmeric, and annatto), lactic acid, citric acid, and less than 2% silicon dioxide added as an anti- caking agent ), Garlic Salt, Chili Powder, Parsley, Black Pepper, Cilantro, and Oregano.